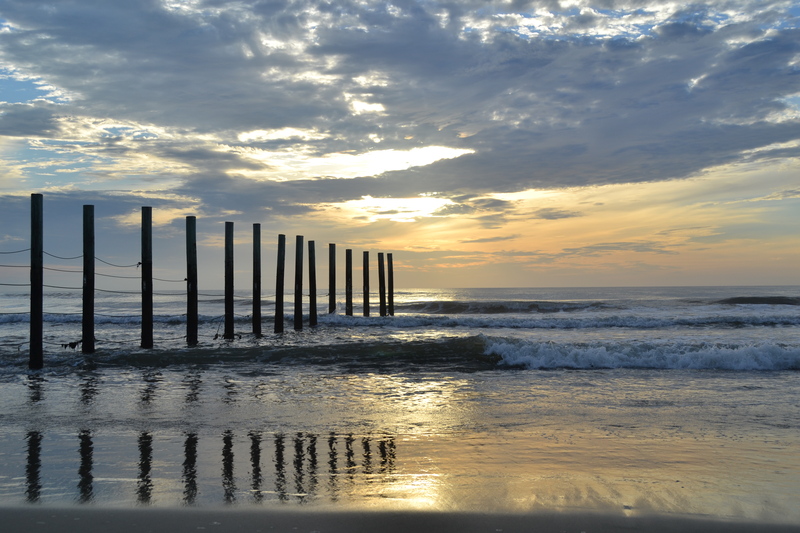 This entry was posted in Traveling Days and tagged outer banks, wordless wednesday. Bookmark the permalink. January is such a cold month. Beautiful. Here’s my Wordless Wednesday. Stop by and share your thoughts. Oh yeah! So pretty!! Summer better bring us some rain though. I want to do Wordless(or not)Wednesday but I didn’t know where to hook up. I miss Linda’s WWA! I will just join you Dianna and just put it out there. Really…how long??? I am SO ready! Still waiting for a real snow! Summer sounds so good right now. It’s warmed up to 9° here and my husband is out on freeze-up service calls. Not soon enough!!! We is sick of snow!!! Winter coats!!! Mitts!!!! Cold Drippy Noses!!! Slipping on the ice!!! I remember this day. I’m pretty sure I was there! Great photo to go with a great memory! Shhhsshhivering too hard to type…. Great shot! Not too long – it’ll be here before you know it ! I really do enjoy the changes of seasons, and I’m one of those strange birds who actually likes winter. Summer….not so much. So, I’m not counting the days like most people are, even though we’ve been in the single digits most of the week here. I’ll be ready for spring though when it rolls around. Lovely photo. Don’t you just love the beach? Bet you are longing for your “wild horse hunting” days huh? Beautiful photo, Dianna! Believe it or not, it was 70 degrees here today. That is crazy for January in Colorado! But, some of our worst snow storms have been in early Spring! I’m actually okay with it not being summer for awhile. I’m enjoying this little cold snap. Makes me hunker down indoors and appreciate not running around. Plus, we’re supposed to get snow this afternoon. How about you? It’s still an educated guess for the forecasters, Susan. We shall see! Thanks for reminding us that Spring and Summer is around the corner as I set here in our den and watching the snow coming down in Va Beach. Be safe.